I am going to ingored Capcom until they make a new megaman game. Capcom is annoying! Hello, Mighty No. 9, here I come! 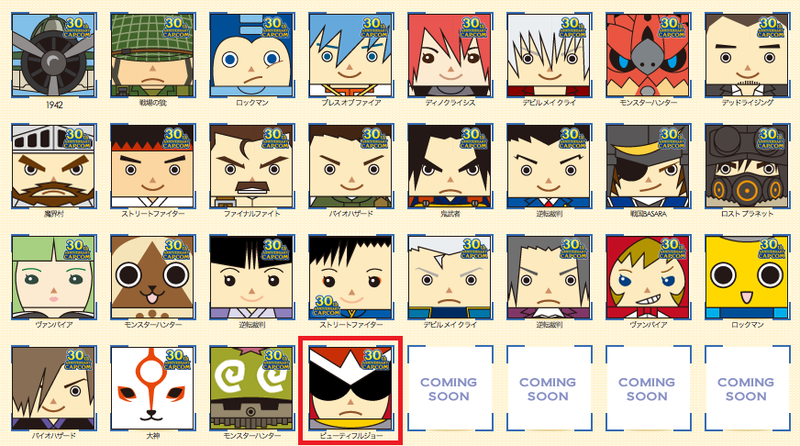 So Capcom goofs by mislabeling Protoman as Viewtiful Joe. Big deal. It'll most likely be noticed and corrected in time anyway. And like Protodude just said, they do look similar. Besides, it's not like Capcom is the only one to make dumb errors related to their own properties. I remember in Super Smash Bros Brawl, Nintendo made the error of stating that King K. Rool and Captain K. Rool were brothers, when they are in fact one and the same. I find it more interesting that they bother to add Protoman but ignore giving Viewtiful Joe his own square. Then again, there's a few other characters missing from there as well. Unless they're planning to add him for real later. "I remember in Super Smash Bros Brawl, Nintendo made the error of stating that King K. Rool and Captain K. Rool were brothers, when they are in fact one and the same." In the Japanese localizations of the Donkey Kong Country series, both King and Kaptain K. Rool were indeed considered brothers. That "mistake" in the trophy description was a result of a direct translation. I'm not sure whether or not the "brother" thing applies to Baron K. Roolenstein, though. Ah, that is true enough. I think I may have been told that before but forgot. Well then it's a localization error then. So how many of those characters are from dead franchises? Mega Man looks so sad. maybe because his company snubs him so much? He knows he's dead. We must support Mighty No. 9 in order to ensure MM doesn't fade away. He has that WTF face on him. Man, ViewtifulJoe 10 was such a disappointing end to the series. I'd much rather have ViewtifulJoe Alastor 5, ViewtifulJoe V9 or ViewtifulJoe Heroes 3 (It still stings, Capcom.) I know we have the comics by Archie and Wonderful No.101, but it's just not the same. Mind you, at least we're doing better then that Mega Man series. I mean, Scramble Battle was like in 2005! Hold up, Scramble Battle for Red Hot Rumble? Should have used the handheld RPGs for your punchline instead.